Four-in-Art Dead Space | OccasionalPiece--Quilt! Posted on January 19, 2013 by Elizabeth E.
Okay, is it horrible to mention that I just now am starting to distill my ideas about this project? I usually like to have some trimming and editing of my thought, but for today, here’s my raw footage of this breaking news. 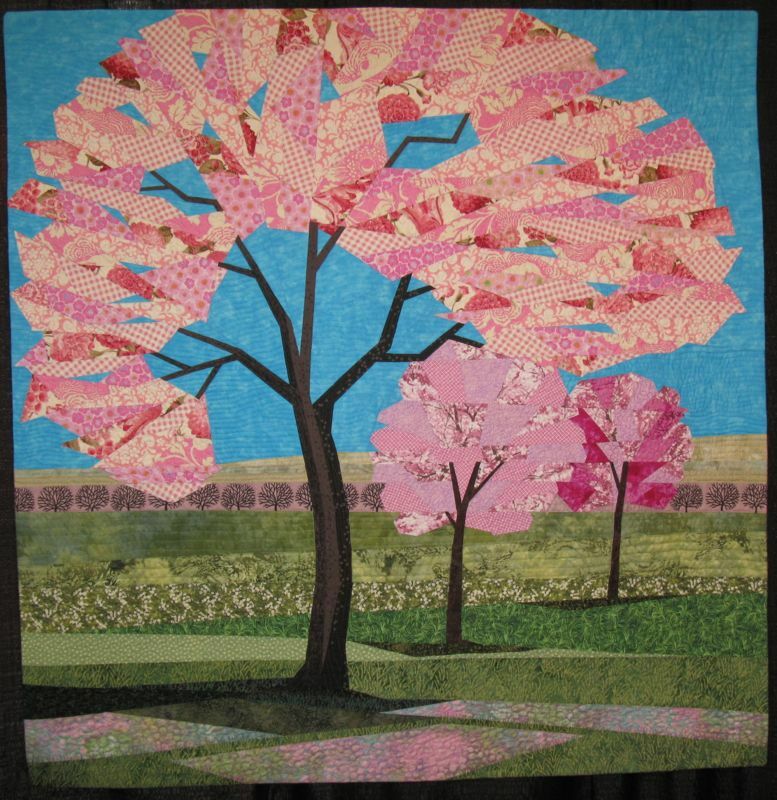 I know Betty is all done with her quilt, and last time, when Rachel chose the theme–my idea just popped into my head and I was off like a rocket. But this time, even though I chose it, I’ve not had space enough to think about the art of this idea. It’s that old, “too many irons in the fire puts out the fire” sort of syndrome. I’ve started teaching Literature again and there’s a poem titled “Won’t Let Go” by Albert Goldbarth that haunts me and I love it (not so sure the students do, but they put up with me since I am the grownup) and it talks about the cycle of life being never ending. It begins with Death throwing open her closet door and wanting to wear that little black dress, moves through ancient cultures and their sacrifices to the gods so that the rain and the sun would help their crops to grow and ends with a birthday party at McDonald’s where the speaker imagines Ronald McDonald as a “popish raja” with electricity shooting out the ends of his hair. It’s a wild romp through those rituals that keep coming round again, and ends with the line about a tree with “one black leaf for everyone,” returning again to the theme of death being ever present, a ritual none of us will escape. Won’t let go, indeed. Cheerful stuff, you say. But we get notices all the time in our school mailboxes about so-and-so’s wife dying, I’ve had my own brush with cancer, and at my age, way past the baby showers and teenage storm und drang, funerals and doctors visits and mortality and death seem to be woven into the fabric of my life. So, while I’m not really in a morbid state of mind, this idea keeps reverberating around in my life that this idea of ritual, that there is “one black leaf” for everyone. I’d like to try and do something with that. Elizabeth, I started thinking about this yesterday. I did not expect you to turn to thoughts of death when thinking about trees, did you? Best I not say a word :)!!! Sounds like you deal with a lot! That pink blossom tree is so pretty ; ) look forward to seeing what you do. 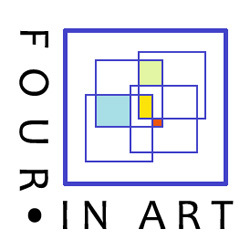 I’m intrigued by your idea for Four-In-Art. There’s a lot of creativity to mine from it and I’d be very curious to see the results. But I like pretty pink trees, too. 🙂 Good luck with either! I’m intrigued as well. I want to read the poem in its entirety. And then see where your journey actually takes you with this quilt.I know wherever it goes, I will enjoy reading about it.